I’ve delivered hundreds of talks on technology across the globe over many years and there’s almost always that point where someone asks the “but…. do you think that it’s destroying minds/culture/civilisation”. I often wonder whether, at the pet-food conference on the other side of town, is full of people who don’t like pets. Neophobia, fear of the new, is not new. No doubt some wag in some cave was asking their kids to ‘put those axes away, they’ll be the death of you’. From Socrates, who thought that writing was an ill-advised invention, people have reacted with predictable horror to every piece of new technology that hits the street. It happened with writing, parchments, books, printing, newspapers, coffee houses, letters, telegraph, telephone, radio, film, TV, railways, cars, jazz, rock n’ roll, rap, computers and now the internet and especially social media. The idea that some new invention rots the mind, devalues the culture, even destroys civilisation is an age-old phenomenon. I’m with Stephen Pinker who sees neophobia as the product of superficial reaction about cognition that conflates “content with process”. The mind and human nature is not that malleable and obviouslyly not subject to any real evolutionary change in such a short period of time (I say this as I’ve heard the word ‘evolve’ in such questions). Sure the mind is plastic but not a blank slate waiting to be filled out with content from the web. It is far more likely that the neophobes themselves are unthinking victims of the familiar destructive syndrome of neophobia, than our kids. Thomas Kuhn and the evolutionist Wilson, saw neophobia as a brake on human thinking and progress, as individuals and institutions tend to work within paradigms, encouraging ‘groupthink’ which makes people irrationally defensive and unsupportive of new ideas and technologies. As Bertrand Russell said, “Every advance in civilisation was denounced as unnatural while it was recent”. Religion, for example, has played a significant role in stalling scientific discovery and progress, from the denial of the fact that the earth rotates around the sun to the position of women in society and medical research. Education is a case in point. Interestingly, the medical evidence suggests that neophobia, as a medical condition, is commoner in the very young, especially with new foods and then the elderly, who have deeply established habits or expectations that they may see under threat. It fades throughout childhood and flips in adolescence when the new is seen as risky and exciting. Then it gradually returns, especially during parenthood, and into our old age. It is a cycle, with parents bemoaning the lack of interest of their children in what they enjoy, forgetting the fact that their parents had exactly the same reactions, as did theirs. To see this as predictable neophobia, is the rational response. Neophobia exaggerates the role of technology. Have we ‘become the tool of our tools’ as Thoreau would have us believe? There is something in this, as recent research suggests that tool production in the early evolution of our species played a significant role in cognitive development and our adaptive advantage as a species. So far, so good. But far from shaping minds, the more recent internet is largely being shaped by minds. Social media has flourished in response to a human need for user-generated content, social communication and sharing. Input devices have become increasingly sensitive to human ergonomics and cognitive expectations, especially natural language processing through voice. That is not to say that what we use on the web is in some way neutral. Jaron Lanier and others do expose the intrinsic ways software shapes behaviour and outcomes. But it is not the invisible hand of the devil. All technology has a downside. Cars kill, but no one is recommending that we ban them. The internet, as Pinker explains, is not fundamentally changing ‘how we think’ in any deep sense. It is largely speeding up findings answers to our questions through search, Wikipedia, YouTube etc., speeding up communications through email, whatsapp, whatever. Speeding up commerce and fundraising. It provides scale and everyone can benefit. A particulary incisdious version of neophobia are those who secretly use it but in public despise it. For years I’ve read dull journos and TV presenters decry social media, then seen them fall over each other to get their ‘follower’ numbers up on twitter. The duplicity is astonishing. Rather than see it as part of their profession, they saw it as the enemy – big mistake. There’s many types of the all-too-common, social medianeophobia. It’s usually a sneer. I’m OK with you not being on Facebook, I’m not OK with you telling me an idiot because I am. First they often know nothing about the medium, assume it has nothing but cat videos and don’t know about the links, the chat fucntion and don’t really know that the Wikipedia they so often use was crowdsourced. Second, the lurkers who sneer but always seem to know what you’ve posted. What’s wrong with these people? I don’t mind lurking, I do mind sneering lurkers. Now we’ve seen Tron, The Matrix and Minority Report. But nothing, absolutely nothing in the cinema matches the actual experience of virtual reality. When I first slipped the Oculus Rift over my head, even though it was a development kit it was such a blast, such a mind-altering experience. It blew my mind. I knew then, that it could shift consciousness sand that its potential in education, which is all about cognitive change, was immense. Rarely do you come across a piece of tech that you try once and you know that it will create radical change. That’s what makes this different. VR is not a gadget it is a medium. It’s moving from 2D to 3D, literally and extra dimension to your mind. I showed it to everyone I could muster, at conferences, to companies, at home, at parties, at a nightclub. I even took it to Africa. Eventually I found funding for two educational simulations in social care and retail. But there’s a story to tell here. VR goes back to the 50s and 60s and had a rollercoaster ride for several decades in adventurous, but expensive, applications in the military, health, gaming and the arts. So Palmer Luckey, Mr Oculus Rift, joined in at the end of a long journey by researchers and pioneers in VR. He’s honest about this. What he did was immerse himself in that stuff. He worked with explorers, like Skip Rizzo and Mark Bolas, just two of many people who experimented and pushed the technology forward bit by bit. But it was Palmer who had the focus, drive and foresight to make it happen technically and commercially. Technology leaps are rarely single pieces of technology. They use a number of past technologies to create a breakthrough. This happened with printing, where the screw press, new inks, casting techniques and moveable type, along with papare, became the print revolution. More recently, the smartphone is an assembly of technologies, screens, sensors, processors and batteries, that made them fly off the shelves. When the technologies all work and the prices are right, you have a volume product. They are ensembles of tech and it was Luckey who brought together a suit of smart sensors, cheap screens, optics, processing power and software to get the potential price down to a few hundred of dollars. To get to presence, the feeling that you really are in another place, you have to tick off a long list of technical and psychological problems. Then there’s the graphics cards, 3D graphics packages and skills in building 3D worlds that have emerged to feed the games, movies, TV and other worlds. This needs lots of smart people. Oculus assembled those people and had the money and focus to get it done. This was never possible in a research lab, this attitude – focus and speed. What’s also new is that Palmer Luckey had Kickstarter at his fingertips. That meant quick money. Traditional investment cash suffers from lag. They often lack vision and the adventurous enthusiasm for tech that you need for a tech-driven project like this. After a $2.4 m cash pull from Kickstarter, came the smart move of distributing affordable and not half bad, developer kits. This created a shitstorm of YouTube, blogger, tech tester and social media splurge. Demand came from this network, not a corporate marketing team or professional launch. Almost every gamer or tech-savvy kid knows about Oculus, although most have never tried one. Demand is already massive. Then, out of the blue, I read that Facebook had bought Oculus Rift for a cool $2 billion. Remember, this device hadn’t been launched and has no user base. It’s a prototype. So why buy a piece of kit that has been around since the 1950s with not a single customer? Well, they saw what I saw and when a prototype changes your consciousness and literally allows you to see the future, it’s time to slap the cash on the table. Zuckerberg’s opening statement impressed me, “Imagine enjoying courtside seat at a game, studying in a classroom of students and teachers all over the world, or consulting with a doctor face-to-face – just by putting goggles on in your home.” He gets it. This is not just a games’ peripheral, it’s a game changer; in education, health and entertainment. There’s a missing link in this story - Cory Ondrejka - the guy behind Second Life. Guess what, he’s now Head of Engineering at Facebook. It was Cory who got Zuckerberg hooked. Remember, at Facebook it’s still a tech-obsessed guy who runs the company, not some MBA clone. They tried, it, loved it and they bought it. This was a tech to tech sale – no suits involved. It was that simple. It’s not like buying a population of users. This is pure tech. Nobody has used it except a bunch of developers on the DK1. It’s driven by the pure ‘awe’ factor. Try this thing. For once the word ‘Awesome!’ is not hyperbolic. I’ve demoed this kit to hundreds of people in many countries, including Africa, and the reaction has been, well, awesome. This was a sale based on actual experience of the product. It won’t be funnelled into the pure ‘gaming’ world. Facebook are not a gaming company and have a wider field of view. They see education, health and social media as major markets. Sony, it’s main, and only real competitor (at present) is really aiming at the games’ market. They have the PS4 and future consoles in mind. In fact, Morpheus only works with a PS4. That’s their game. I’m not criticising that, just saying that Facebook are playing an entirely different game. VR is about creating and entering new worlds, some will be closed but the real prize are more open worlds where you can meet others, new forms of world building. It’s this sort of vision we need, not the Microsoft vision for Kinect (basically low-level gaming) or Apple gadgetry. The only other company that could have been a contender here was Google. Bu they’re a platform company. In my view they missed the boat. Facebook had the vision to create the largest alternative world we’ve ever seen, inhabited by over 1.5 billion people. That’s one hell of an existing market. If anyone can make this fly on this scale, it’s Zuckerberg. He has a head start – 1.5 billion eyeballs. Of course, it’s also a hedge against seepage, competitors, even disillusionment with Facebook itself. At some point it will be challenged and they need to move it to higher ground to defend itself. $2 billion is a lot of cash. It will accelerate research, recruitment and production. This means getting to market quicker with a product that is cheap, as it has a greater chance of getting massive volume sales. When you can sell tens, even hundreds of millions of these things, then £2 billion looks reasonable. This is a consumer company, driven by the user experience and the experience is mind blowing. It moves us on into visual and aural worlds not the world of text and 2D snaps. Facebook is driven by users and their created content. This is what the Oculus promises, worlds created by and shared by millions of people. It’s about the opportunity to create things that you will be gagging to experience. For some, who have never seen VR before, it’s almost a life changing experience, the idea that you can enter another world and feel as though you really are there and that it really can induce intense emotions and sensations. Presence is about being there, not just seeing something. There’s a world of difference between seeing and being. As a transformative experience, it is compelling. This is way beyond those media folks trapped in 2D. You can buy as many big screen TVs as you want, even a hokey 3D one. You can go to the cinema to get a pseudo-immersive experience on an even bigger screen. This is just upgrading through bigger and bigger screens. The Oculus leap is to wrap a screen around the back of your head, above and below, put you right inside any created world. That’s a breakthrough. Gamers get it, those that have tried the Oculus get it – traditional media companies don’t. It’s just another slot in their TV shows about gadgets. That’s why a traditional media company couldn’t handle an Oculus acquisition. Education is a 2D affair. Teaching is 2D subjects taught using 2D materials, hence the focus on the academic, at the expense of the vocational. And we wonder why graduates and school leavers are ill-prepared for the real word – they haven’t been taught about the real world, only a 2D representation of that world. Education, at last, has an affordable medium in which any world can be represented and where we can, as the psychology of learning tells us we should, learn by doing. This leap from 2D to 3D is to literally add a new dimension to our experience. This is not mimicry. It’s not about copying the real world, although that is useful in itself. What really matters is the ability to go beyond the real. It started in flights sims, where you can repeatedly experience things you are unlikely to experience in real life, but need to know, for example repeatedly crashing the plane. It’s about doing the dangerous, even impossible. Going down to the molecular level, into space, into psychological realms, even different, induced brain states. It’s aesthetic and artistic experiences you’ve never had. It’s high-end training in surgery simulations. It’s prototyping almost anything you buy. It’s travel to places you’ve never seen and may never see for real. See yourself and experience what it’s like to be another gender, race or age. It’s just so damn different. Before I get flooded with complaints about Facebook and privacy, let me anticipate an answer. I’m not one of those people who see Facebook as a totalitarian monster. I’ve spent years in their world, for free, and am OK with them knowing something about me. They’ve given me renewed friendships with people I knew decades ago, new friends around the world, tons of great content, work, rip-roaring debate, entertainment and a whole load of stuff that has widened my knowledge of the world and others. That, for me, is a fair trade. 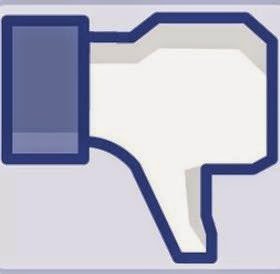 I ‘like’ Facebook and resent then sneering types, who have never used it but think they know what it is, or use it, then use it to constantly complain about it. If you don’t like the play – leave the theatre. Leaving Facebook as evil totalitarian corporate aside, there are several predictable risks that may befall this deal. First, in catching this butterfly they may crush it. I don’t think this is likely as Cory Ondrejka is leading the show and it is not in Facebook’s interest to blow $2 billion on something they let be destroyed. Second, they may play the wrong game and force everyone through some dystopian route. This I doubt as we’re not in some David Eggers novel here. This is real cash and a real business. They want the Oculus to enhance their business not make people hate them or leave Facebook. Whatever the outcome, I hope it succeeds. It was a bold move and I like boldness. I also like the story, a long, hard trail of research and pioneering work, comes together through a visionary and crowdsourced investment, taken to the whole world through a social media company. I want us to escape from Disney, Time Warner, Murdoch and all the other media companies that try social media and tech, and usually fail. It’s time to move on and give the new kids on the media block a chance.